1. Mention any two socio-cultural features of province no. 3. 2. Write one important achievement that Nepal achieved in reference to the Millennium Development Goals. 3. In your view, why was Lumbini enlisted in the world heritage site? 4. Write a role that local government can play to control domestic violence. 5. Write a social effect brought in the country after the People's Movement 2062/63. 6. What should Nepal do to make hydro power sector more effective? Present an appropriate suggestion. 7. Write any one negative effect which may be caused by globalization. 8. There are high possibilities of hydroelectricity development in Province no. 6, how? Write with example. 9. What are the challenges to obtain the goals of sustainable development in Nepal? Write them. 10. 'We observe the Martyr's Day to respect the contribution of our Martyrs.' Make a list of any four programmes for the celebration of this day effectively. 11. What suggestion would you give to a person or group aspiring to open an institution to protect and develop the orphans and destitute children? State any four suggestions which they can do in this regard. 12. Suppose, you are given the responsibility of Chief Minister of your province through recently held election. Write any four points on the role you play for the development of your province. 13. If you reach in Savana grassland of Africa, mention four things that you can enjoy and four problems that you may face there. 14. What do you mean by Global Positioning System (GPS)? What are the three reasons to use Geographical Information System (GIS) and Global Positioning System for modern mapping. 15. Show the given table in time line. Paris Peace Conference was held. 16. Give your opinion on the following statement and suggest in three points to the person aspiring to avoid tax. 17. When was the UNO established? Give the historical background of its establishment. 18. Clarify the importance of Election Code of Conduct. What roles should Election Commission have to play to implement Election Code of Conduct effectively? Analyse in points. 19. Draw a full page map of Nepal and insert the following facts in it. Draw a map of South America and insert the following facts there. 20. 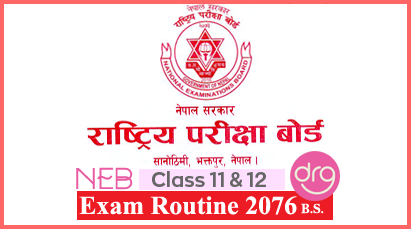 The political situation of Nepal is highly ebb and flow between the period of 2007 B.S. to 2063 B.S. State any six reasons. 21. Mention any four sources of non-tax revenue. Process of non-tax revenue collection is different than tax-revenue, how? Present in points. 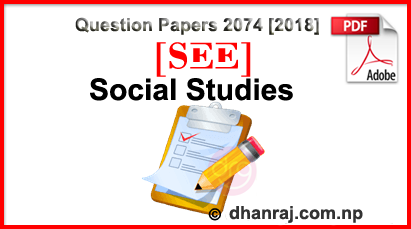 0 Response to "Compulsory Social Studies Exam Paper | 2074  | RE-123CC | SEE"